Jeremy Board / CC BY 2.0 Vancouver rallies against Bill C-51. Certainly, no reasonable person could object to such a policy. But government agents already perform such family interventions under existing legal rules. So why mention this example in official talking points, unless the object is to distract attention from the many areas in which CSIS powers will be expanded in unsettling ways? Under C-51, the Canadian Security Intelligence Service will be allowed to take any action that agency officials believe is reasonable to “reduce . . . threats to the security of Canada,” including (with judicial permission provided after a secret, one-sided hearing) breaking the law and violating the Charter of Rights and Freedoms. The only outer constraint is that CSIS must not inflict bodily harm, obstruct justice, or violate sexual integrity. Such broadly defined powers are very different from merely sending agents to speak “with the parents of radicalized youth.” Moreover, these new provisions will apply to CSIS’s full security mandate, not just anti-terrorism. The agency will be able to exercise these powers to reduce threats associated with sabotage, espionage, foreign-influenced activity, and subversion. Government counter-subversion campaigns—which involve the infiltration and surveillance of anarchists and other radical groups that seek to overthrow the existing social, economic, and political order—were abandoned by CSIS years ago. However, the powers were never deleted from the statute, as recommended by CSIS’s review body, the Security Intelligence Review Committee. So CSIS’s power to engage in counter-subversion technically remains on the books, only a change in government policy away from being reactivated. This fact raises legitimate concerns that, under Bill C-51, CSIS will be able to play “dirty tricks” on protesters it believes are attempting to undermine Canada’s constitutional system of government. That would be darkly ironic, given that one of the reasons CSIS was created as a pure intelligence agency in the first place was public anger over the litany of rogue, illegal activities perpetrated by the RCMP in the 1970s. As for CSIS’s mandate to monitor “foreign-influenced” activity in Canada, the Security Intelligence Review Committee has recommended that it be tightened. Instead, with the expanded powers contained in Bill C-51, CSIS will not only be permitted to continue focusing on (for instance) suspicious Chinese state-sponsored activity in Canada; it also will have the legal authority to, say, provide misinformation to anonymous foreign environmentalists seeking to fund a secretive civil disobedience protest against the Keystone XL pipeline or other Ottawa-supported energy projects. In broad terms, Bill C-51 converts CSIS from a mere information-collection agency into one that also can take kinetic steps to address a broad range of security threats. Despite this important policy shift, the government has hewed to a superficial narrative that focuses almost entirely on frightening rhetoric involving Islamist terrorists, or else harmless-seeming references to discussions with family members of at-risk youth. Sadly, most commentators have followed suit. 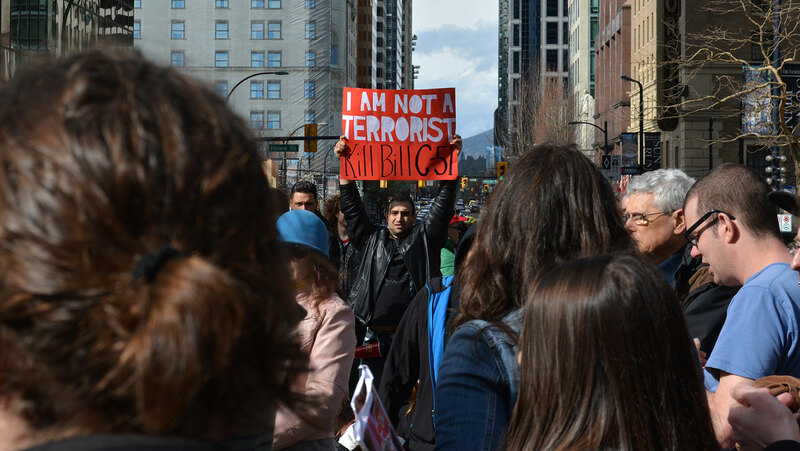 What is the government’s real goal in pushing Bill C-51? From what has been said on the record by government witnesses at parliamentary hearings, we can infer that one government priority is to give CSIS the power to detain, if not formally arrest, suspects who are being investigated. Some government statements on the record also suggest that the bill could even facilitate foreign renditions—which is to say, forcibly removing a person from one state to another through extraordinary and controversial means. Unfortunately, we don’t really know the full extent to which CSIS would use the powers contained in C-51, because the government won’t tell us. As a result, Canadians are unable to have a full democratic debate on whether the proposed legislative changes are worth the price we will pay in civil liberties. This marks an enormous departure from the sort of public discussion that has taken place since 9/11 in other advanced democracies—including the UK’s recent debate on “temporary exclusion orders” of citizens who joined foreign terrorist fights. In recent weeks, we have been speaking to counterparts in comparable nations—notably the United Kingdom, Australia, and the United States. None of these countries appear to issue their CSIS equivalents with an open-ended, indefinite power to break the law. In Australia, for instance, the CSIS equivalent may disrupt a computer system, but it can do so only pursuant to a detailed warrant issued under the provisions of a tightly administered legal framework that itself is subject to review by an inspector general, as well as potential scrutiny from a special security committee of the Australian parliament. The United Kingdom, meanwhile, has just witnessed a vigorous debate about what steps its agencies may take to limit re-entry of UK nationals who have become foreign paramilitary fighters. It has not given its security services—either MI5 or its foreign service, MI6 (of James Bond fame)—special new powers to break the law or violate human rights. None of that informed debate is occurring (or, it seems, will occur) in Canada, because our government has chosen simply to provide a virtual carte blanche to CSIS, allowing it to pick from a long menu of surveillance and “disruption” techniques. These new powers are subject to judicial approval processes only when they would violate Canadian law or the Charter, in a proceeding in which the government is the only party, there is no possibility of appeal, and no public disclosure of any warrant issued. We consider ourselves to be moderate-minded academics, not activists. We aren’t conspiracy theorists, and we generally believe that CSIS officials do not have malign intentions. Indeed, we don’t think CSIS really wants to be in the rendition game. We don’t think CSIS has any interest in running a detention facility, either at home or abroad. We don’t think CSIS wants to perform a political function by steering foreign environmental foundations away from funding local protest groups. But this is a law that may persist for a long time, and as with any government agency, the intentions of CSIS may well change as internal cultures evolve and, even in good faith, the service tests the bounds of its new powers. In this regard, one issue that deserves emphasis is the agency’s long-standing difficulty in working hand in glove with law enforcement. This issue, which has become a preoccupation among many CSIS officials, was closely studied by the commission of inquiry into the investigation of the bombing of Air India Flight 182. Our familiarity with that work leads us to suspect that long-standing “de-confliction” problems between CSIS and RCMP operations—as well as related concerns about CSIS operations becoming fodder in criminal trials—is a central factor motivating the creation of C-51. A key difference at the time [of my assignment to Canada] between the UK and Canadian operational systems was that CSIS and the RCMP had not been provided with a framework within which they could both share information extensively and also protect themselves from the disclosure of sensitive capability and relationships when encountering the criminal justice system. In 2010, the Air India commission recommended that the government force CSIS to share information about terrorism offences. But the government rejected this idea. Indeed, in his testimony before the Senate, Fogarty confirmed that, at the very time the commission was doing its work, CSIS still was keeping critical information out of RCMP hands. CSIS discovered the location of a suspected terrorist training camp inside Canada. This is not an insignificant thing to discover. Having discovered it, knowing it has no executive authority of its own—it’s not a police service and at the time couldn’t disrupt [the camp]—it decides not to tell the RCMP about it. . . . . later on in that investigation, CSIS realized that the RCMP was following the wrong targets. So, having identified certain people who are believed, by that stage, to be threats to public safety, realizing that the RCMP was following the wrong people, CSIS decided not to say anything. In other words, CSIS limited its disclosures to the RCMP even when such reticence threatened to place criminal investigations and prosecutions—indeed public safety—at risk. The pattern recurred years later in the Jeffrey Delisle matter—a case in which a Canadian naval officer was found to be spying for the Russians. The Canadian Press reported in May 2013 that CSIS knew of the spying but had failed to alert the RCMP, which learned of the espionage (and arrested Delisle) only after receiving a tipoff from the FBI. One large reason why CSIS is so slow to share information with the police is that Canada has extremely broad criminal trial disclosure obligations under the Supreme Court of Canada’s landmark 1991 Stinchcombe decision. That judgment dictated that the Crown must provide the criminally accused with all relevant evidence—even evidence that is not cited directly by prosecutors. CSIS does not want its lifeblood of informers leaked via RCMP disclosures to defendants. The police, in turn, have learned to live with less CSIS-provided information than would be ideal, because they often share CSIS’s reluctance to reveal secret information. The scenarios at play here are far from hypothetical. To avoid disclosing the identity of informers, for instance, two prosecutions of alleged Sikh terrorism were terminated in the 1980s and 1990s—including that of the alleged mastermind of the 1985 Air India bombing. Imagine, going back to the 1980s or 1990s, that MI5 sees a Provisional IRA active service unit, realizes that the military and the police are following the wrong people and decides not to say anything. It’s a tragedy waiting to happen. You have been remarkably lucky, as a country, that you have not faced fast-moving, sophisticated opponents since 2001, because you could have been living in tragedy here. Critically, C-51 will not fix the above-described intelligence-to-evidence problem. Yes, the bill broadens the possibility of information sharing—something that always has been a prospect for CSIS and RCMP in criminal cases. But it does not follow the Air India commission’s recommendations in compelling CSIS to notify other agencies of information regarding suspected terrorists. Instead, C-51 offers CSIS an alternative strategy: the agency will be able to do an end-run around the dilemma of handing information to the police by exercising its new disruption powers. It will be able to so unilaterally, without participation by the police or anyone else, and avoid the problem of subsequent disclosures during criminal prosecutions. While I was with CSIS, I often worried that our tool kit was highly restricted by the Canadian Security Intelligence Service Act. Disclosure rules of the day thwarted the flow of potential intelligence leads. Other impediments hampered the transfer of CSIS intelligence into viable evidence for the RCMP . . . I was involved in it in the Toronto 18 investigation and in subsequent terrorism-related charges. I worked with the RCMP as the director general of counterterrorism. I can tell you it is a very complex choreography. This bill will give CSIS a chance to more directly deal with threats without having to engage in that choreography. At some level, this CSIS unilateralism may sound attractive: by keeping sensitive information within one silo, it may help agents do a better job of keeping our country safe from terrorism and other deadly threats. But caution is warranted. The new physical role that C-51 gives CSIS amounts to sidelining the traditional criminal justice model of anti-terrorism in favour of a more fluid, potentially more lawless covert disruption approach. Even setting aside the troubling civil-liberties implications, we worry about its sustainability as a security strategy for reasons explained in the hypothetical contained in the paragraphs following. more nuanced and nebulous [than covered by the already broad, present terrorism law]. They do not encourage the commission of any specific terrorism offence or type of terrorism offence, but rather actively encourage that some sort of unspecified action should be taken to do something bad against Canadians or our allies, or to do something to support extreme jihadism. Whether specific or unspecific, these statements are harmful. This extremely broad language may deter Muslim Canadians from participating in CVE programs (or even talking to the RCMP and CSIS), because it raises the stakes. Imagine, for instance, that after the passage of C-51, CVE program representatives reach out to the leaders of a mosque, wishing to convene a meeting in which community members discuss the dangers of ISIS and al-Qaeda inspired ideology, which posits that Islam is under attack by “Western crusaders” and that it is the duty of good Muslims to act in its defence, even with violence. The desired airing of views requires a venue in which local Muslims can speak freely, and the mosque is asked to provide it. Whereas the imam might formerly have cooperated, he will now have to worry that at such a meeting members of his congregation may make general comments interpreted as supporting the broad concept of violent jihad; or they may critique Canadian foreign policy in a way that is seen as sympathetic with Muslim terrorist groups. Wisely, the imam might consult with a local lawyer who concludes that such statements at the meeting might be interpreted as active encouragement of “terrorism offences in general,” since they would be voiced in a venue where the speaker may know that other participants might be inclined to then commit a terrorism offence (say, by giving money to an overseas group that practices political violence). Under the legal elements of the new speech crime, what was once the RCMP’s “pre-criminal” CVE space would turn into a criminal space, full stop. The imam has no choice but to cancel the meeting, and the CVE program fails to reach a key constituency. To continue the hypothetical example, imagine that a member of this community truly does get radicalized, and becomes the charismatic nucleus around which the usual band of misfits, thrill-seekers, and the merely impressionable begin to gel. Imagine that, like the Toronto 18, this is an amateurish group, and it leaks information that eventually ends up in the hands of CSIS. Confronting the standard dilemma about information sharing with the RCMP, the agency declines to notify the RCMP and instead acts itself, using its new powers under C-51. It chooses a judicious mix of “disruption” measures. Perhaps CSIS agents notify the parents of the suspected would-be terrorists. Or maybe CSIS goes further, and spreads disinformation about the men within the Muslim community, or drains a bank account, or deploys some sort of agent provocateur to steer the conspiracy in a new direction. Some of these measures require a judicial warrant, some don’t. But we never know, since in all cases the operation is secret—unlike a conventional RCMP investigation and prosecution that would result in a conviction in open court. Under the post-C-51 result, there may never be any criminal proceeding. There is no prosecution, no negative publicity in the media, no revelation about how these would-be terrorists were penetrated and exposed by police agents. Several of the key functions of criminal law in our society—denunciation and deterrence—are not achieved. Moreover, even if such a CSIS approach works, the agency must now constantly monitor these people, at great expense, for as many years as they persist as a security risk. And if they fail to do so—not implausible given how difficult full-time covert surveillance is—the result may be a later successful attack by one or more plotters who slip the surveillance web. That is one possible consequence of not putting people in prison, and instead prioritizing disruption. We do not dispute that CSIS should have some tools of disruption. But we believe that those tools must be carefully circumscribed, and enacted only after democratic debate. Moreover, CSIS needs to work within our criminal justice system, not in a parallel universe or at cross-purposes to conventional law enforcement. To its credit, our government was ahead of the curve when, in 2013, it enacted four new offences targeting attempts to leave Canada to engage in terrorism abroad. And the government is correct to warn Canadians that recent events—in Ottawa, Saint-Jean-sur-Richelieu, Paris, Kenya, Denmark, the Middle East, and elsewhere—reveal just how serious the terror threat is. But dealing with it will require more than just enhanced powers for our security and intelligence services. It also will require a commitment to prosecute and punish terror suspects in a manner that is consistent with due process, civil liberties, and human rights. Bill C-51 does the opposite. Moreover, it does nothing to address the core problem with our existing system, which is the awkward relationship between the RCMP and CSIS. This larger issue can be solved—even in a legal landscape dominated by the Stinchcombe rules regarding disclosure in criminal trials. The Air India commission devoted four years of study to this issue, and offered concrete solutions, all of which were ignored. By revisiting those recommendations, the government would do the country a far greater service than ramming through the expanded CSIS powers contained in Bill C-51.